Munnar and Malabar – How boundaries are determined! The tragic-comic spectacle of the Kerala Government deputing team after team to ascertain the nature and extent of its holdings in Munnar would bring tears to the hardest heart. Officially, the entire area of Munnar belongs to the government, but look at the way it goes about identifying and removing encroachment. The British colonial regime had no such problems. As soon as it was realised that the rolling hills and the bewitching valleys of Kannan Devan Hills are suitable for raising a variety of crops – apart from being developed as a low-cost option for the annual vacation and furlough for the Europeans – they started grabbing the land with finesse. And who are these ‘gentlemen’? Apart from JD Munro, others included an ICS officer from Madras, the Turner brothers (one of them again a civil servant) and a few other influential civil servants. Now we know where the political parties and land sharks of Munnar learnt the not-so-subtle art of arm twisting the decision makers. What has all this got to do with Malabar, one may ask? We have, indeed, a parallel in taking decisions on boundaries when the facts are hazy and the claims are dubious. According to Pamela Nightingale, the British historian, how the territories of Malabar which came under the East India Company were decided, is not quite clear. On 22nd February, 1792, the Company signed the preliminary articles of peace with Tipu Sultan. The terms did not specify which areas of Tipu’s dominions were to form the half which he ceded to the Company and their allies. (The Srirangapatam Treaty which ended the second Mysore War had laid down that Tipu would surrender one-half of the dominions in his possessions.) The issue was referred to the Governor General, Lord Cornwallis who was camping in Madras and was personally leading the war against Tipu . A two member Commission was appointed by General Abercromby to delineate the boundaries and negotiate the rent to be paid by the Rajas and chieftains on the lines of the Bengal settlement. Of the two members, Major Dow had been a military commander at Tellicherry since 1789 but the other gentleman, William Gamul Farmer was a Senior Merchant with no experience of Malabar and resented being sent there. (More about this gentleman in another post). 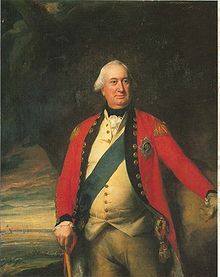 Cornwallis also deputed his trusted Bengal civil servants, Jonathan Duncan and Charles Boddam to assist the Commission. Tipu had left Malabar in disarray. The rulers had fled the land. Tipu’s own machinery did not provide any records to the Commission on the plea that all records had been destroyed in the recent battles. The dethroned Nair chieftains would do their best to sabotage the British takeover of their territories. They falsified their records so that their tributes to the Company would be small. Ultimately, the boundaries of Malabar and its revenue obligations were settled merely on the basis of the Company’s self-interest of ensuring uninterrupted supply of pepper at cheap rates and maintenance of peace in the pepperland. How one wishes that those in charge of the Munnar operations also followed the salutary principle of enlightened self-interest and protected the state property from sharks of all hues! That was certainly interesting - as history tells us, many of the momentous decisions were made on the basis of either religion or commerce. The British were required to take decisions protecting their interests. Now our politicians are also doing the same thing but with a difference. They do not want to take decisions to protect their own vested interests. Thanks, Premnath. British had at least the supreme self-interest of the Company at heart. But look at our own democratic leaders - two leading political parties are reported to have built their party offices and resorts/hotels on encroached land in Munnar. One of the lesser known facts of annexing Malabar territory is that the genesis of the Pazhassi war was the vagueness of territorial boundaries in Malabar, particularly in Wynad. Many thanks, Maddy for the perceptive comment. History is not always made of momentous events like wars and annexation but of small and insignificant decisions made by petty officials focused on their immediate gains. But historians often dramatise big events and ignore the nuts and bolts! PNS-you have hit the nail on the head! I think its easy to blame the British for all the ills of this country. I wish we could analyse without emotions the contribution of the British towards the development of Malabar, be it in the field of education, health, small scale industry (tiles and textiles), railways, roads, postal services, etc., etc.